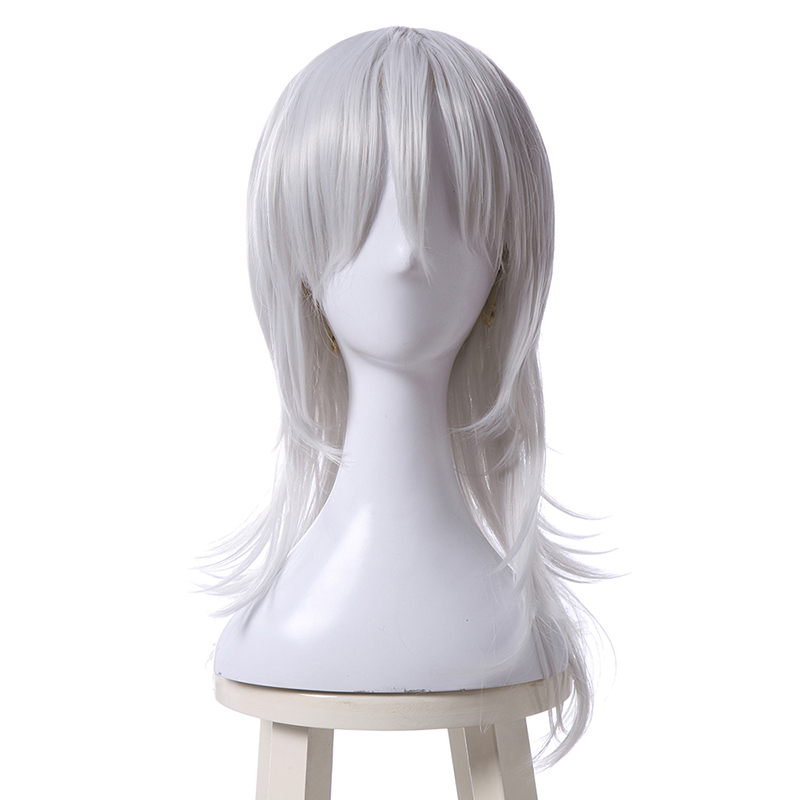 There is a huge variety of online wigs shops where you can get the cosplay wig that matches your character. They are not expensive and easy to take care of. Most of the cosplayers use heat-resistant synthetic wigs, but what if your character has a special hairstyle and you can’t find what you are searching for? Or maybe you would like to enjoy the wig styling process yourself, rather than buy it online. Choose the wig properly, most of your basic wig color, as well as the wig length, should match the character you are going to cosplay. I choose following sliver grey wig from L-email wig to finish my cosplay character. Trim the wig bangs using your character’s reference. Hold the scissors vertically, don’t cut the straight lines, as they won’t look natural. You should always remember that you are going to wear it and you need to trim it to fit your face as well. Use the trimming technique in order to get the spiky look. Style your heat resistant wig with a hair drier and use the hairspray in order to fixate the position of the bangs. In order to curl down the wig, use the regular foam rollers. Split the wig fiber and straighten it with straightening iron, roll the fiber over the foam roller and hit it up a little bit with the hair drier. The heat-resistant fibers hold the shape as they cool down. Wait for a while before releasing the fiber and style the curl with your hands. You can even use the curling iron, but be careful with the heat. Each pack of the wig has its own tips about how much heat it can handle. If you would like to change the direction of the fibers, use the hair drier and the hairspray. That will permanently set the fibers in a desirable direction. Don’t forget to trim it, trimming process depends only on your skills and vision. Basically, if you are able to style your own hair, you can do it with your wig as well. In case if your wig is too fluffy, you can use the thinning scissors. In order to get a SUPER volume, pull the hairlines up, tease it with the brush, use bunch of the hairspray and the hair drier. I glue the hair to the wig cap using the hot glue gun, or I make the separate hairline and sew it to the wig cap. This entry was posted in Buy Cosplay Wigs, Wigs.